Guide to a. . .
Angels are around us. At times they give us direct hints, whereas at other times the hints are subtle. But, most of us miss them because we believe there is no such thing. Those who believe in angels fail to catch the hints. Angel card decks contain the mesmerizing mystery of angels. If you want to connect with angels, you must raise your vibrations. High, light, and clear vibrations help you connect with the spiritual realms and receive accurate information from angels. Meditation is the best way to enter into a higher frequency. It helps you connect with the Divine or spiritual realm, which is always in a higher frequency or vibration. The first and foremost benefit is that it calms your mind. This is the pre-requisite for connecting with angels and reading angel card decks. You just cannot feel or sense them with a tensed mind. Meditation clears the mind of clutter. At times, the mind overflows with thoughts, and mostly they are negative. If only we could overflow our minds with positive thoughts, life would have been better, right? But, as it is said, everything in excess is poison. So, too much positivity may lead to unrealistic dreams and expectations. However, in most of the cases, the problem is of too much negativity. Meditation is the right way to cleanse your mind. You need no long hours of meditation. Just sit in a quiet corner and do nothing. Sit in a way that your spine is in natural alignment (straight). Take deep breaths. Focus on how you breathe. Just be. Do nothing. Imagine you are bathed with a pure, white light. Be aware of your breathing. Be the observer, not the doer. This is something that not everybody can do. It does not happen instantly either. You need practice for this. Be patient, please. Once you master the skill to be the observer, your vibrations will increase. Your being will be ready to read angel card decks and connect with the angels. While you meditate, continue to visualize Divine or white light enveloping you. Believe it is nurturing your body and mind. It is penetrating in each cell of your body. As you imbibe this light, you will feel lighter. Your heart chakra will open. Don't forget: as you exhale, you must let go of all negative emotions, cluttered thoughts, tensions, worries, fears, resentment, and others. Once your mind is clean and your vibrations are higher, you are now ready to receive messages from angels. Your intentions should be clear. There are certain signs for angel healing. They indicate you need help from angels urgently. It could be a certain situation in your life or people in your life. Once you learn angel card reading, you can easily get answers to complex questions of life. You also learn about the best angel cards for beginners. Angels constantly provide guidance and hints to keep you on the right track and move you towards your life's true purpose. But their hints are too subtle for you to catch, especially in your fast-paced lifestyle. However, there are certain aspects of life wherein they don't interfere until and unless you ask for guidance. They respect your free will. To put it in other words, angels are forever helping you and protecting you. But they also give you space so that you can make your choices. They also let you make mistakes and learn lessons. This is beneficial for your soul's upliftment. However, you can invoke your angels and ask for their guidance and help. This, in a way, connects you with the Divine. 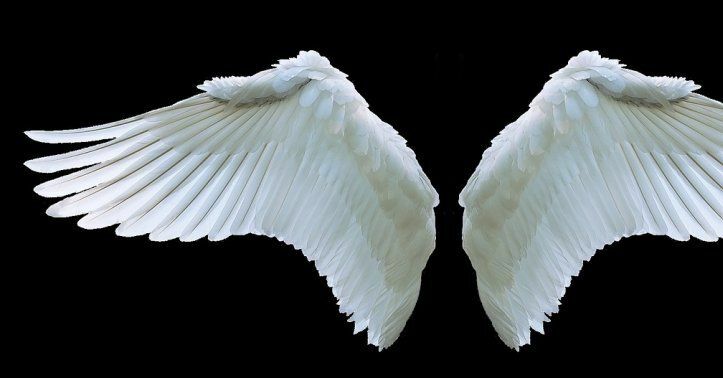 Remember, there is no right or wrong way to ask angels for help. Just be frank and have an open and clear heart. Just ask (in your language) as if you were talking to a person. There is no specific "mantra" for this. If you are in Mumbai, you can connect with some of the best angel card readers of the country and undergo angel card reading training in Mumbai. It teaches you to handle angel card decks in a correct and efficient manner. One thing is certain - when you ask for help your angels will always answer your call for help. The trick to get the answer is to relax. Only then can you tune into their frequencies. You cannot be in an emotionally turbulent state of mind and then expect to receive an answer. This acts as a static block. Your angels will answer but you won't be able to receive it. Only a calm mind can connect with angels and interpret their messages correctly. Visualize a clear and beautiful lake with sparkling clean water. Believe this is your mind. The water is tranquil and still. Let this be your state of being. Deep breathing is a sure shot way of relaxing your mind. You must visualize that all your negative emotions get ejected when you exhale. Angels are love. They are no other emotion. So, when you speak to them, make sure you are filled with love. For that, you must have an open heart chakra. This serves as the doorway to the spiritual realm. Focus on your chest area where your heart lies. Imagine your heart doors are opening. A white light is flooding your heart. It is followed with a gush of love. Now, your heart, wide open, is shining with white light and is filled with love. You are now completely ready to connect with your angels, talk to them, take their guidance, and feel their love. A reputable angel card reading course in Mumbai through a certified reader makes you a pro in dealing with angel card decks. Shipra Singh is a Digital Content Strategist & Writer at lifepositive.com. She is a kidney donor and has experienced life's many colors, including grey shades, that have helped her discover her spiritual side. The writer believes her life is a novel and she makes sure to turn one page at a time to understand the Divine Plan better. A God-loving person, Shipra has healed herself of life's injuries through cooking and dance therapy.